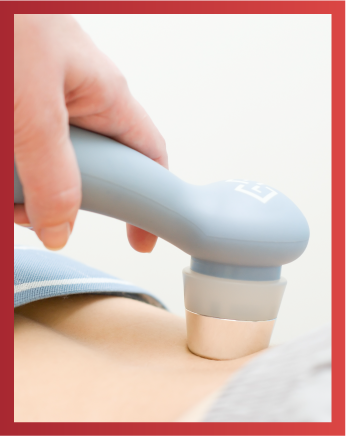 Ultrasound Therapy is the application of high energy sound waves to injured tissue. Ultrasound helps to break apart scar tissue, and increases circulation to the area of injury. Ultrasound is used for conditions such as tendonitis and strains and sprains as part of a comprehensive rehab protocol. Our full service clinic offers physiotherapy, chiropractic, registered massage therapy, acupuncture, naturopathic medicine, foot care, custom orthotics, shockwave therapy, laser, and exercise therapy.